There are times when even Mr Right can be wrong. After all, we are born with imperfections! Relationships aren't really easy to maintain. One needs to understand the value of commitment and trust and many problems are likely to be created over the course of the relationship. For many of us, personal relationships with our better halves constitute for a major part of our lives. As much as we may be showered with love, there is no Cinderella who has not faced problems with her Prince Charming. It also holds true that not all relationships are picture-perfect as shown in movies. There are times when even Mr Right can be wrong. After all, we are born with imperfections! Let's face it. We all have tried our best to figure out where things go wrong. So to help you out, we list down eight mistakes people make which can ruin any relationship. As we all know, truth alone triumphs. Nobody lies without any reason, and thus, any relationship built on a foundation of lies is bound to break. The very fact that one lies, suggests that something is wrong, and must be rectified immediately before everything gets ruined. As much as we have our lives revolving around social media, it cannot influence you to have a virtual relationship. Endless texts on WhatsApp do not make a relationship work. One must get out of the virtual world and make space and time for one another. 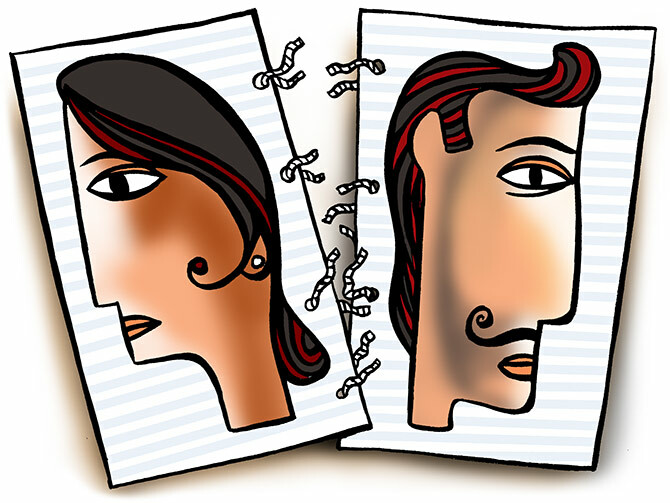 Incompatibility is a very common problem in many relationships. Many a times, the two people involved in a relationship may simply not be perfect for each other and thus, may never get along and agree on a single thing. Trying to change for the same may only ruin things more. Equality is essential in every relationship, which the act of puppetry defies. In many instances, it is very common to see one person becoming a puppet in the hands of the other person involved in the relationship. It is a wrong thing. Period. Cheating has never got any relationship anywhere, except to a hard- hitting end and thus, it should be completely avoided by all means. One major mistake which couples make, rightly terming them as 'annoying couples' is forgetting the other people in their lives. In simpler senses, when in a group, showcasing over affection not only makes others uncomfortable but also invites unnecessary criticism. Thus, affection over a certain extent must be avoided at times. Every person involved in any relationship must understand the value of personal space. If one is being bothered by constant calls and texts, and needs more space, it must be pointed out early and taken care of before it turns into a major problem. Although, space issues must never ever be used as an excuse to end a relationship. Whatever the problem be, it is necessary to make the right decisions and learn from the past mistakes. It must be noted though, that the right decision may not always necessarily mean to keep the relationship going.